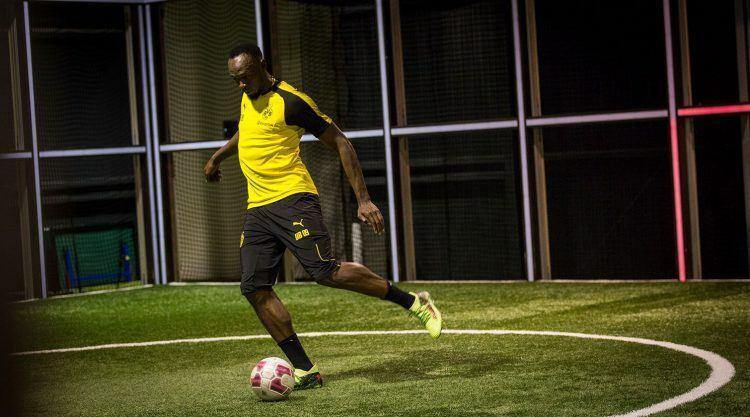 Usain Bolt: the world’s fastest man, world record holder and now, football player? The multiple Olympic and world champion could lay at a beach in his home country Jamaica after he ended his unique professional sprint career last year. 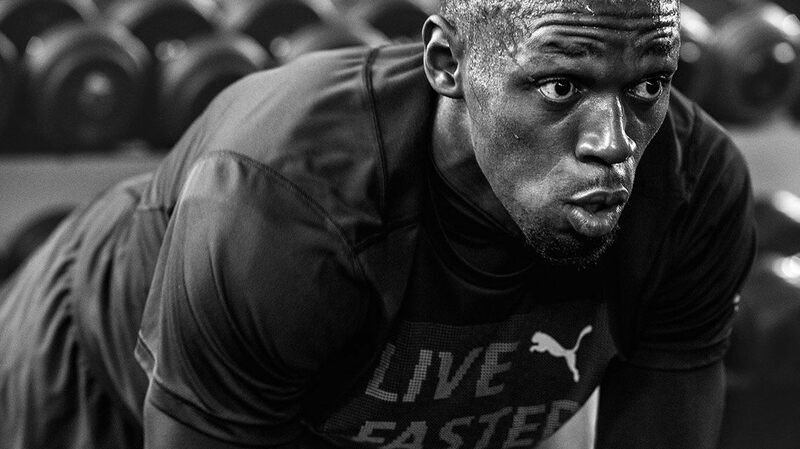 But he would not be Usain Bolt, if he did not use his time to get better. This time at playing football. 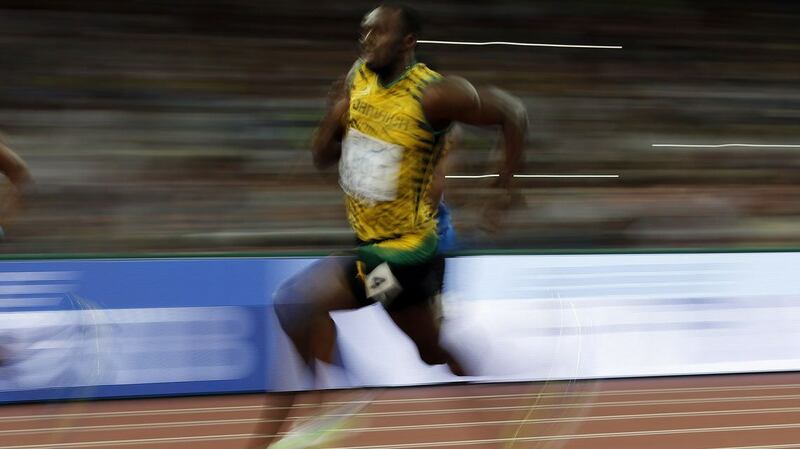 And what is the fastest way to football greatness? 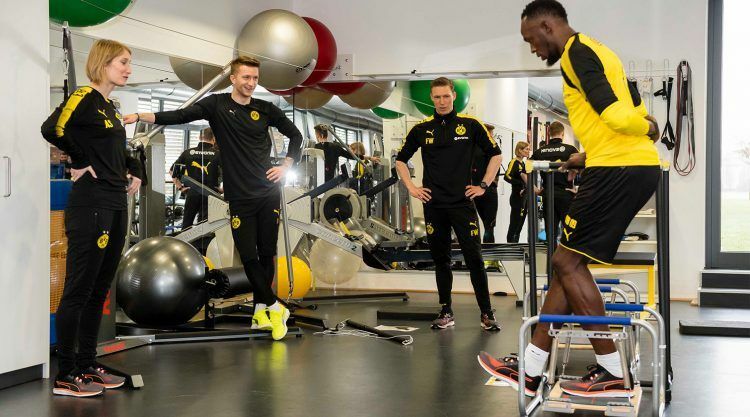 Train in some of the world’s best facilities with some of the top players! 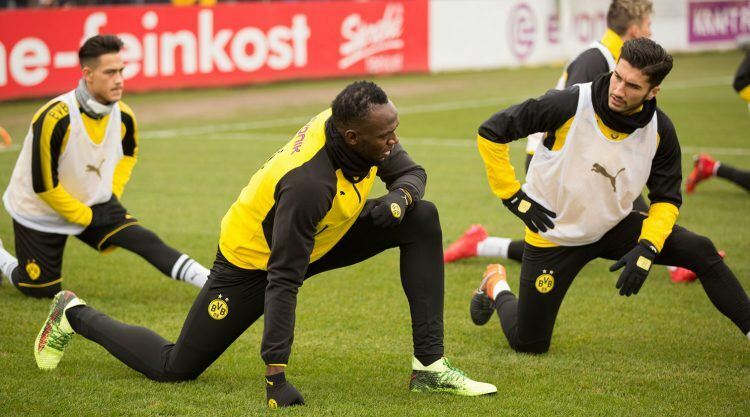 Therefore, Usain Bolt spent a special 2-day trial with Borussia Dortmund, participating in several training sessions with the team. 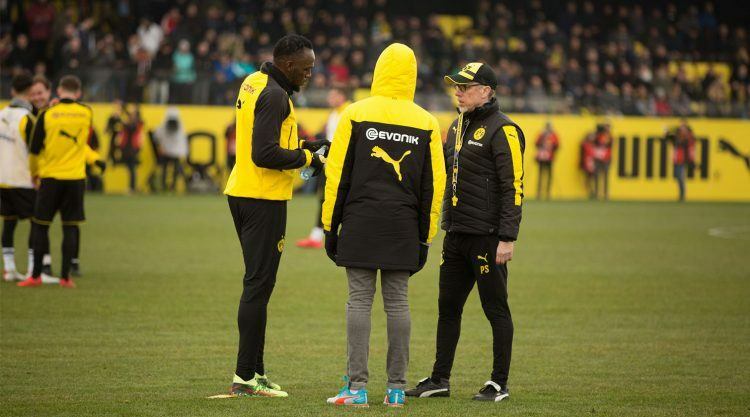 On the first day, he took part in the team’s daily training business carefully watched by Dortmund Coach Peter Stöger to see, if he has the skills to play in a top club. 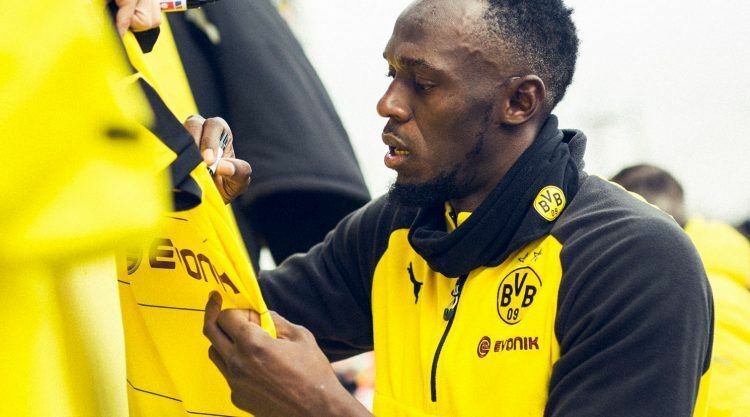 The next day, he trained with the team in an open session surrounded by fans and media representatives. 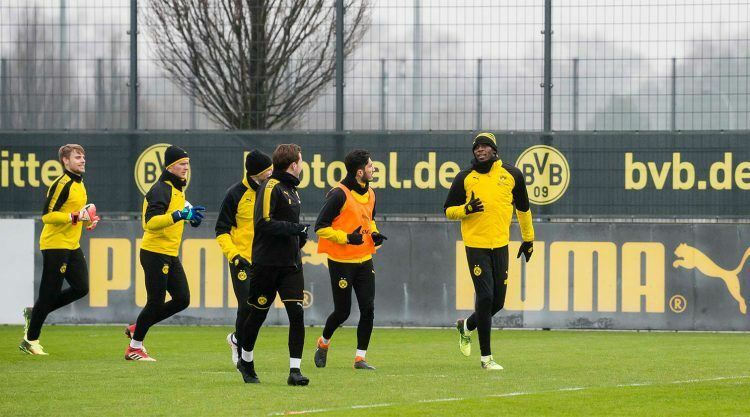 It was a great experience to train and be part of the Borussia Dortmund team, everyone was so welcoming that I felt like I was home. Being able to receive professional advice, great training tips and play with some of the best players made it even more special. 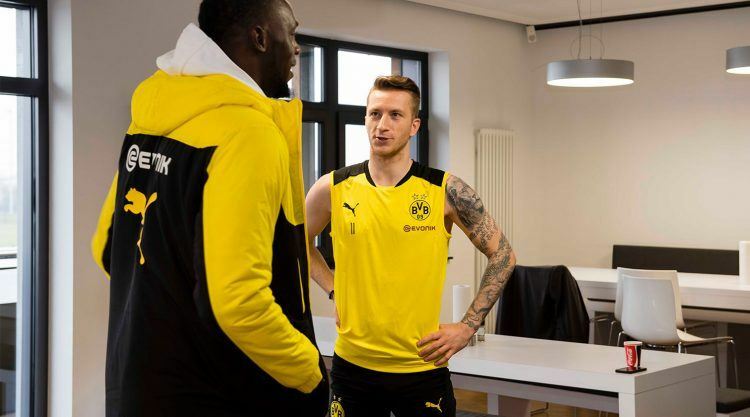 Borussia Dortmund is a top international club known for developing some of the best young talents in the world, and I will use everything I learned to improve myself. 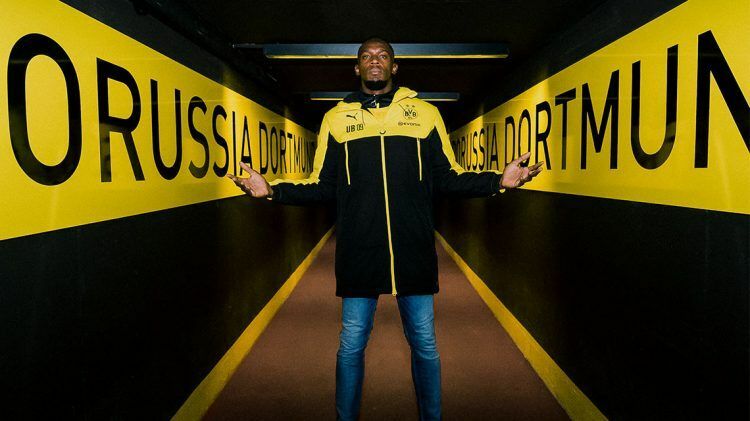 Be sure that this is just the beginning of my football journey. And his first professional football steps did not look bad. 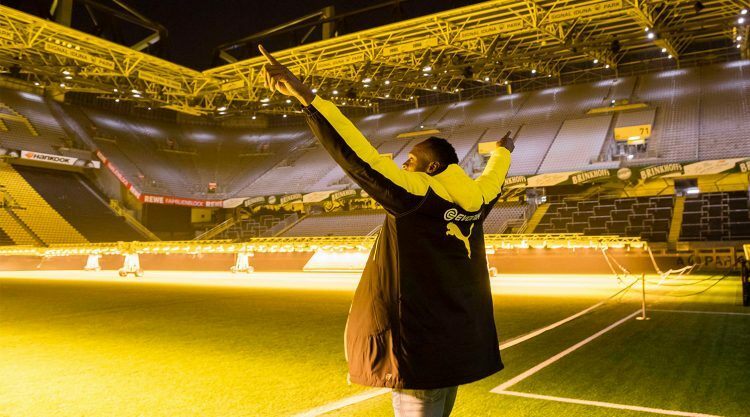 He scored a headed goal after a cross from Mario Götze and converted a penalty. 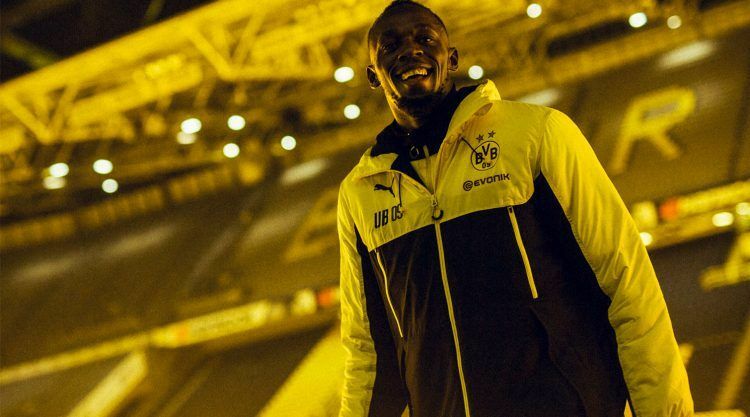 After the open training session Bolt received a skills assessment from the club’s coaches and his temporary team mates. 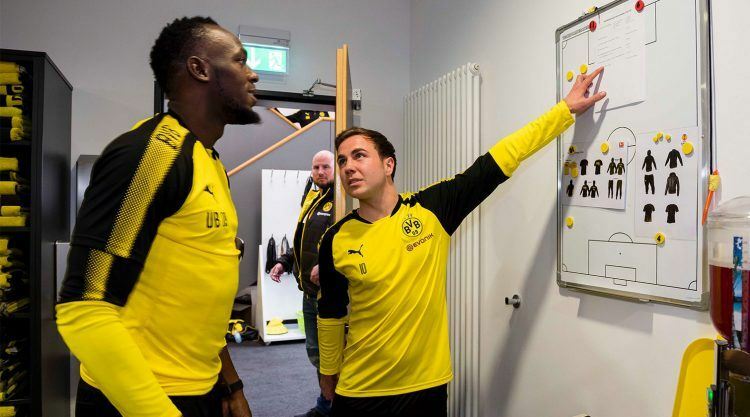 “It was great to have Usain join us for training. It was like having a new teammate. 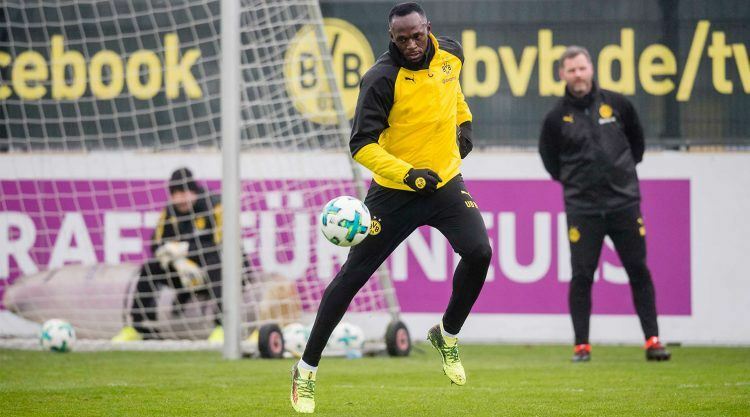 I watched him in his training sessions and I think he has some real football skills. 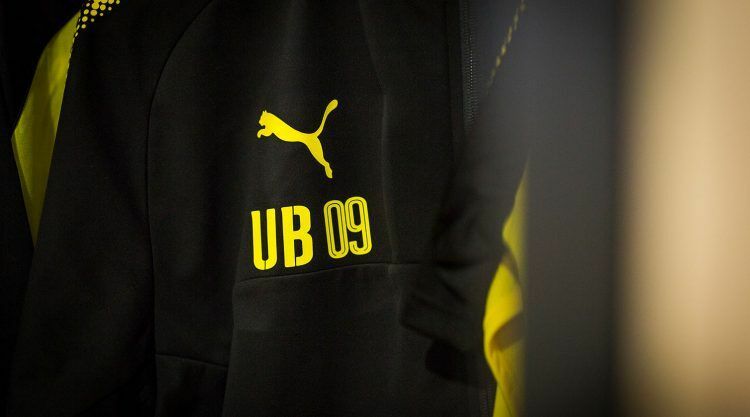 I can’t wait to see what he does next,” said BVB midfielder Marco Reus. 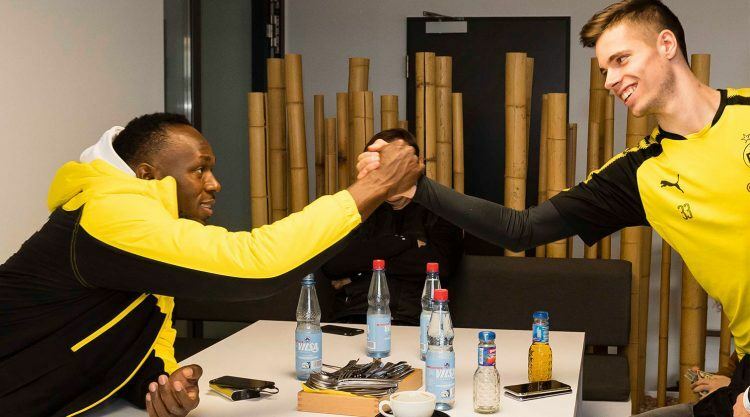 Bolt himself was satisfied with his performance. He gave himself 7 out of 10 points and said that he just needs more training and has to get a bit fitter. 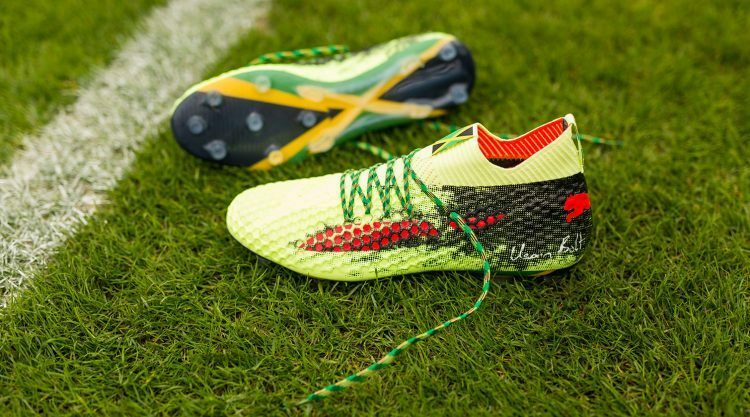 Special support for Usain Bolt came from PUMA: PUMA Football supplied the athlete with a custom pair of PUMA Future football boots, featuring the Jamaican flag on the outsole and laces colored in the famous black, green and yellow of his nation. ... ended his professional sprint career in 2017. He is eightfold Olympic Champion and eleven times World Champion. 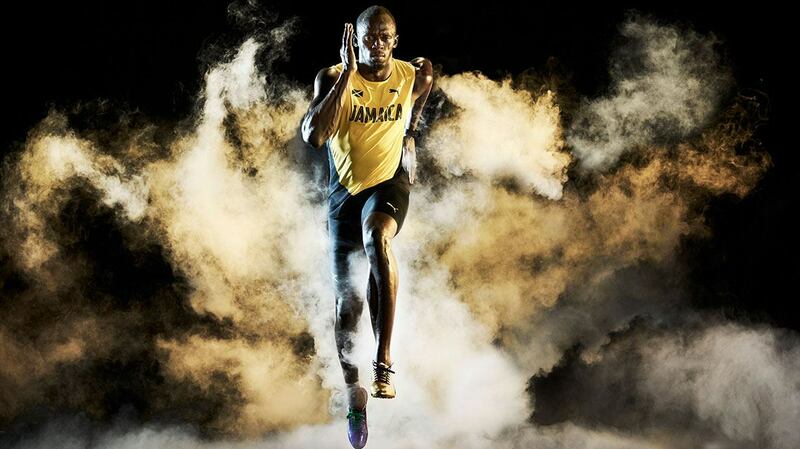 With 9,58 seconds he holds the current 100 metres world record. 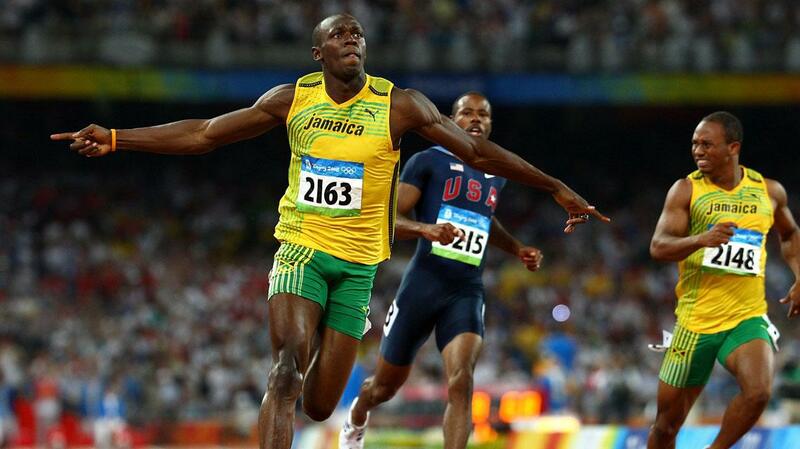 He is also the first person who holds both, the 100 and the 200 metres world record. SIGN UP FOR OUR NEWSLETTER AND NEVER MISS A STORY. What has hit the shelves recently?